﻿PHILIP STEJSKAL ARCHITECTURE is an award-winning practice founded in Fremantle, Western Australia, whose focus is on creating spaces that are thoughtfully tailored. Our expertise is to bring innovative solutions to our client's constraints, by recognising inherent opportunities and facilitating rich outcomes. We offer a full design and project management service for small to medium scaled buildings across all sectors, with particular experience in residential & public architecture. Our ideological starting point is an engagement with the notion of spatial well-being: an insistence that good design blends pragmatic, intellectual and emotional aspirations. We are extremely proud of Yang Yang and Louise from our team, for their stellar efforts in having their entry short-listed in this year's NGV Pavillion competition. They were one of five teams out of 100. They will head to Melbourne late March to present their scheme to the public, when the winner will be announced. A profile on our practice was featured on ArchitectureAU last week. We love the way the article describes our charter. We've never thought about it in this way, but -- hey -- it sounds great and we're happy to be labelled this way ;) !! And to our complete surprise, we took out the trophy in the new residential category at this year's Architeam awards. The ceremony took place in Melbourne. How we wish we had jumped on a plane! However, the competition just seemed too good. Congratulations to winners of other categories as well as finalists. It is a total honour to have received this national award. Thank You Architeam! We're excited to be part of the Open House Perth event this year. On November 11th from 10am until 2pm, we'll throw open the doors of our Fremantle studio to welcome anyone who's interested in seeing what we've been up to. We also wanted to provide a service to the community as part of the event. In speaking to a number of people about potential topics, we decided on clarifying what we believe defines a good client brief :) We'll hold these informal discussions at 10:30am, 12pm and 1:30pm. Hope you can make it! Thank you ARCHITEAM for selecting our Blinco Street House as one of your finalists in the Residential New category!! We are thrilled to be included among such outstanding company and wish all finalists the best of luck for the 14th of November. We are incredibly humbled and thankful to be featured in two outstanding publications this year. Houses Magazine has profiled our practice in their latest issue, and the local magazine, Fabric Quarterly, includes an article on our Blinco Street project, which has also made the front cover !! Click on the image to download a pdf of the article. Our competition entry for Landcorp's 'Step-Up' affordable housing competition of 2016/17 was included in a publication by the Urban Design Forum WA, supported by the Planning Institute of Australia. We talked about a housing model that is inclusive, accessible and adaptable over time. We feel extremely humbled to have received a commendation for our Blinco Street House at this year's Houses Awards!!! Congratulations to the winner of this category, Peter Stutchbury Architecture, for their amazing Cabbage Tree House and other commended entries including Kennedy Nolan, Neeson Murcutt and CHROFI -- what a high! 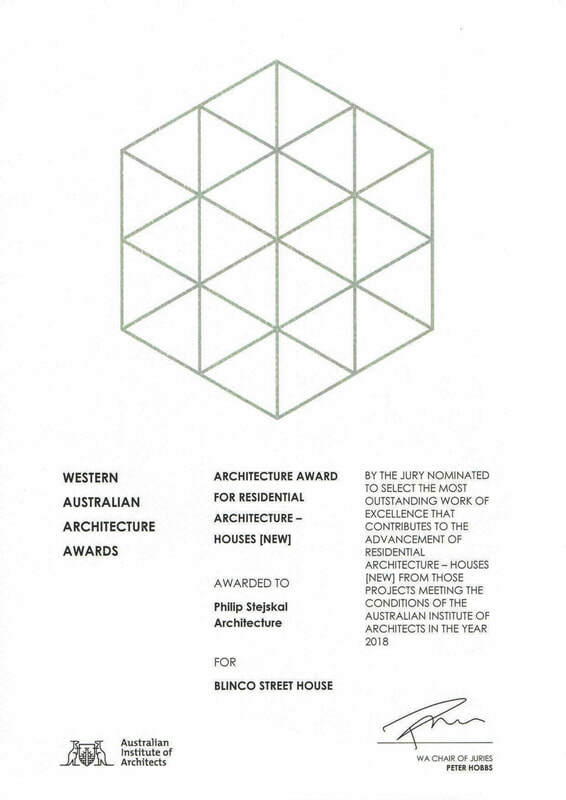 Thank you to the wonderful judges of this year's Western Australian Architecture Awards - Residential, New Houses Category - for awarding our Blinco Street project with an Architecture Award at the ceremony on the 29th of June. We are immensely proud to have received this recognition and truly thankful to our client, Dan, for entrusting us with his project. 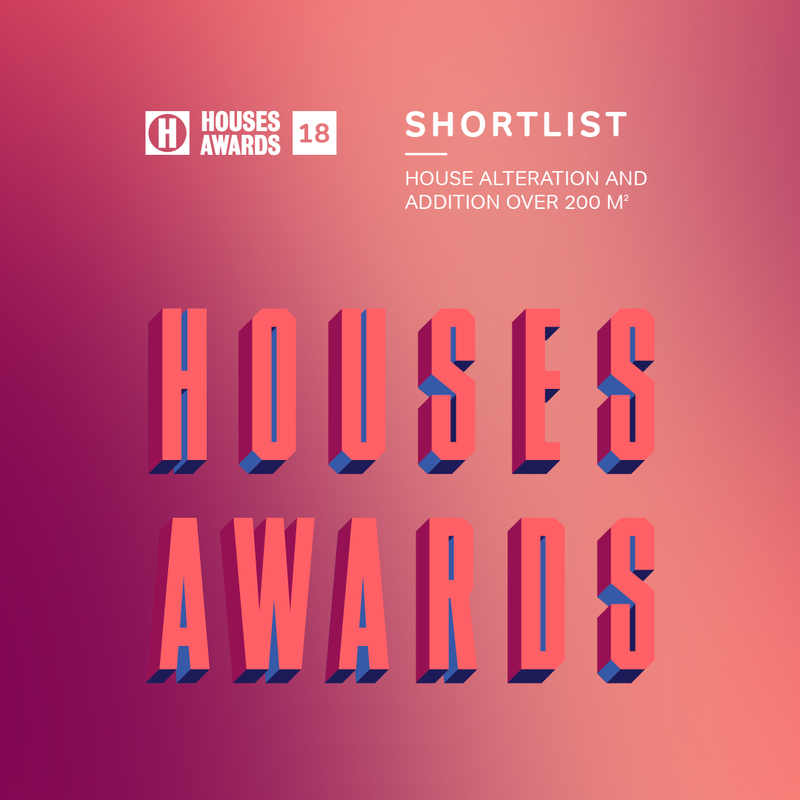 We are over the moon at the shortlisting of two of our project in this year's Houses Magazine Awards. Parmelia and Blinco Street Houses, both in Fremantle, were lucky enough to make it into this outstanding cohort of Australian residential projects. A huge congratulations to all short-listed practices! After several months of collaboration with our clients, the Fini Group, and design partners, DKO and Finespun, we are particularly excited to be on the winning team for the mixed-use development of LandCorp's historic site in Shenton Park. For more information, please read here, an article in Fabric Quarterly -- Australia's newest design journal. We are delighted to have our Parmelia Street house published in the December 2017 issue of Houses Magazine. 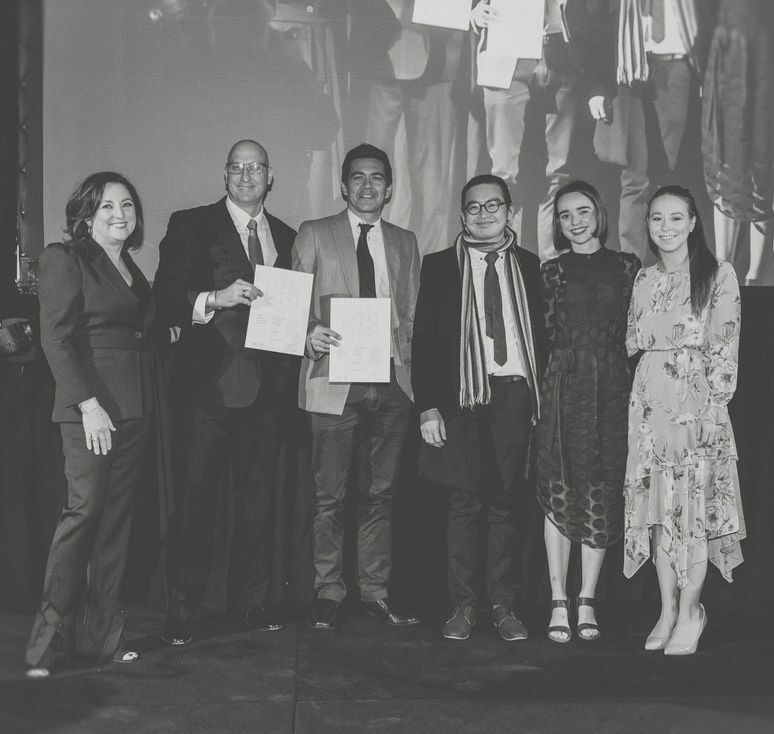 We are extremely chuffed to have received second place in the recent ideas competition hosted by the Berndt Museum and UWA School of Design, to design a new home for their extensive collection. Click the above image to view our submission.